Everyone loves to save money! Bailey’s Discount Center of North Judson, Indiana, is a kitchen and bathroom distributor and countertop specialist committed to saving you money—without sacrificing quality. Our patented “ABSOLUTELY UNBEATABLE PRICES” are created by our buying power—we are a non-borrowing company purchasing cabinets by the truckload at volume discounts, paying for all cabinets upon receiving. All these savings are passed on to our customers, saving you big money! At Bailey’s, serving you well is just as important as saving you money. 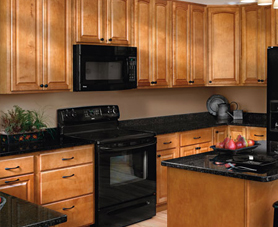 We specifically take care of cabinets and countertops in your kitchen, bathroom, laundry, bar, island, and any other area in your home that has a need for quality cabinets and countertops. We see your project through from beginning to end, including detailed measuring, professional computer design, complete showroom tours, delivery with lead times you can count on, and installation of your cabinets and countertops. The Bailey’s team performs all of our services! We never subcontract or farm out services like most other companies. 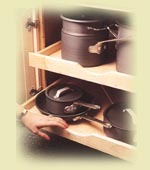 When we do your cabinet and countertop project, we do it right! So please, take a tour through our Web site and see how Bailey’s Discount Center can give you the dependable, complete service at an incredible savings for all your cabinet and countertop needs.